Are you worried about your MBA admission? Not sure which Business schools to apply to? Do not worry, for we have carefully indexed and ranked MBA programs in top MBA colleges in Bhubaneswar. Whether you are aiming for your MBA in finance, marketing, HR, IT or in any other specialization; these B-Schools give the best business schools in the world a run for their money. 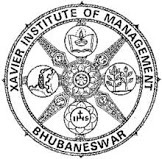 Bhubaneswar is one of the more popular destinations for management students in India. Hitbullseye ranking of top MBA Colleges in Bhubaneswar helps you decide which institutions you should be focusing on for your MBA admissions.